Indonesian Law No. 12, 2012, defines education as a mindful and deliberate effort to create a learning atmosphere and learning process that learners are actively developing their potential to have religious spiritual strength, self-control, personality, intelligence, noble character, and skills needed for themselves, society, nation, and the country. Therefore, Higher Education aims to promote student’s potential development in order to be man of faith and fear of the Almighty God, noble, healthy, knowledgeable, capable, creative, independent, skilled, competent, and cultured for the benefit of of the nation; b. to endorse graduates who master science and technology through research considering and applying humanity values for the benefit of nation development, culture development, and welfare of mankind; and c. to realize the reasoning and work-based Community Service useful for promoting the general welfare and educating the nation. For this, the Education National Standard is established consisting of graduate competency standard, learning content standard, learning process standard, learning assessment standards, faculty members and staff standard, learning facility and infrastructure standards, learning management standards, and financing standards of learning. In the organization of education and science and technology development, academic freedom, freedom of academic forum and scientific autonomy are applied as well. 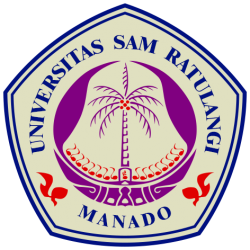 As a state university, Sam Ratulangi University (UNSRAT), implement educational program set by the Directorate General of Higher Education, Ministry of Research, Technology, and Higher Education (former Ministry of Education and Culture), and therefore, all educational programs are based upon the Regulation of Ministry of Education and Cultural No. 49, 2014. Decree of Indonesian Republic President No. 84/P, 2009, concerning Formation of United Indonesia Cabinet II as amended with President’s decree No. 41/P, 2014. Indonesian higher education is, in general, conducted in two regular semesters, called odd and even semester. Student registration is done in June every year. Class starts in August for odd semester and February for even semester. Beside these, there is a short semester (two weeks of classes) from July to August set by the faculty. Indonesian universities normally use Indonesian language in learning and teaching process, but English is also used as a second language since references, like books and journals, are more available in English version. Therefore, for international education, English is the only alternative language used in class. UNSRAT under university’s statutory, in general, performs a coordination role on the higher education execution. Therefore, UNSRAT has internal control and supervisory system to ensure an accountable financial and asset management, the efficiency of resources utilization, and the data and information accuracy for decision making. Planning and budgeting are very crucial in carrying out the implementation of educational programs. Both must be designed from the faculty and then submitted to the university. The university will compile all developmental plans to be reconstructed in association with entire university’s planning target and mission. UNSRAT has missions as follows: 1) to develop quality through conducting good quality programs in education, research, and community service; 2) to make UNSRAT be a qualified higher education institution with nationally and internationally accredited achievement and reputation in conducive academic environment, climate and culture; 3) to increase the prosperity of UNSRAT members and people of Indonesia through performance-based programs; and 4) to develop sustainability through continuous development in education, research, and community service, and infrastructures by creating new breakthrough based upon present condition and potential. UNSRAT has the following objectives: 1) to carry out good quality services in education, research, and community service; 2) to make UNSRAT a prestigious university and win the trust of the community; 3) to lift up prosperity for internal stakeholders; and 4) to secure the sustainability of quality, performance, and existence of the institution. The head of the university in UNSRAT is the Rector, and in managing the university the Rector cooperates with 4 vice rectors: (1) vice rector for academic affair, (2) vice rector for general administration and financial affair, (3) vice rector for student affair and alumni, and (4) vice rector for collaboration, planning and budgeting. University governing bodies also includes: research institute and community services, quality assurance board, and educational assessment and development agency. At the faculty level, the educational implementation is organized by a dean (with 3 vice deans: (1) vice dean for academic, planning, and collaboration; (2) vice dean for general administration and finance; and (3) vice dean for student affair and alumni), and quality assurance unit. At the level of department, it is organized by a head of department with a secretary. At the level of study program, it is organized by a coordinator who is responsible for implementation of the curriculum, which consists of education, research, and community services. The qualification of faculty members is based on regulation of the Ministry of Education and Cultural No. 49, 2014, part 6, concerning standard of teaching and educational staffs. For master program, the faculty members must have doctorate degree relevant to the study program. They have responsibilities to transfer science and technology through teaching, doing research and community services, called “Tri Dharma”. The working load of the faculty members is at least 40 hours per week. FoFMS recently has 180 lecturers in which 78 of them have doctorate qualification, and staffs (assistants and technicians). They were graduated from both foreign and national universities with specific field of studies. Thus, number of faculty members required is related with the field studies offered by the study program. UNSRAT curriculum is developed and implemented based on its competency. The study program curriculum of UNSRAT is developed and established referring to Indonesian National Standard of Education. 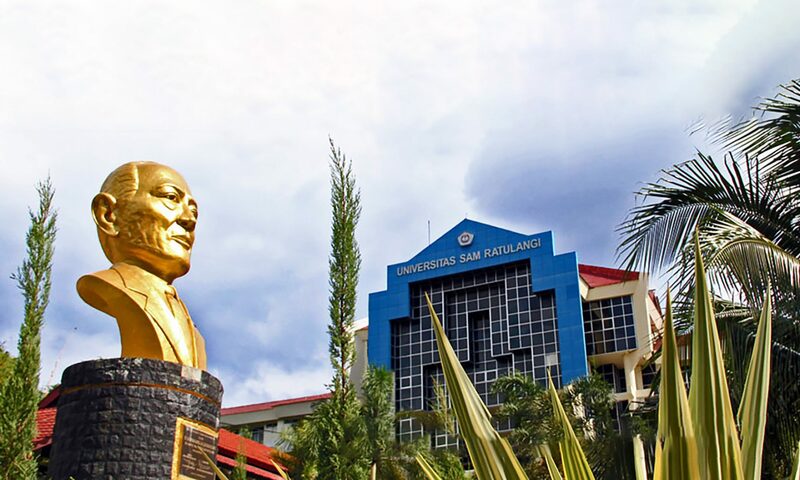 It combines national and local academic packages to achieve the level of national standard of Indonesian higher education that could compete in global world. The curriculum package is developed under consideration of inputs from government, community, and business world. University enrollment is performed through university acceptance based upon undergraduate’s academic background for master level. However, students who have different scholarly background are required to take a matriculation program organized by the university. Types of class subjects are given in line with courses offered in the semester. Number of semester credits is 44 credits. Semester credit unit is determined in article 15, 16, and 17 of the Ministry’s Regulation No. 49, 2014. One credit is equivalent to 160 minutes learning activities per week per semester. One semester credit conducted in form of class, response, and tutorial consists of 50-minute class per week per semester, structured assignment of 50 minutes per week per semester, and self study for 60 minutes per week per semester. One semester credit in form of seminar activities or other learning process covers class for 100 minutes per week per semester, self-study for 60 minutes per week per semester. One semester credit in form of practical learning, laboratory practice, workshop, field practice, research, community service, and/or other relevant activities, is 160 minutes per week per semester. Normal studying load of student is 8 hours per day or 48 hours per week equivalent to 18 credit semester units per semester, up to 9 hours per day or 54 hours per week equivalent to 20 credit semester units per semester. Students of high academic performance, after the first 2 semesters, are eligible to have additional studying load up to 64 hours per week equivalent to 24 credit units per semester. Moreover, students of high academic performance and potential to result in highly innovative research, as determined by university senates, could simultaneously enroll in the doctorate program while doing the master program after at least one-year master program enrollment. One semester of teaching and learning processes is divided into number of days per week, 5 days a week. Class meeting is conducted as many as 16 classes per course per semester, and therefore, there are 32 classes a year. Learning process in UNSRAT is conducted through teaching, response, tutorial, seminar, and practices (studio, workshop, and field work). Class subject assessment is an evaluation process of student’s learning development periodically conducted along the learning process. It is carried out through examination, structuredassignment, observation, and other forms of learning activities set in Academic Regulations through Senate’s decree of UNSRAT (UNSRAT’s Statuta, Chapter 73). Gradingis given as A, B+, B, C+, C, D, and E with conversion values of 4, 3.5, 3.0, 2.5, 2.0, 1.0, and 0. Only A, B+, and B, are the passing grades. (3.12) Accreditation of Credits Granted by Other Universities etc. In some cases, students of other universities may move to UNSRAT. It is probable under the following requirements: a) the applicant submits a written request to the rector of UNSRAT; b) the applicant has not passed the study period of the university origin; c) the applicant submits a moving approval letter fromrector/presidentof the university origin; d) the applicant is conciliated by the dean of receiving faculty under the study program recommendation; e) the application originates from the study program with minimally same accreditation level as the target faculty by showing the letter of university National Accreditation Board or rector’s approvals in specific case; f) the application has to finish half of the study period or number of credits required by UNSRAT (Rector’s UNSRAT Regulation No. 01/UN12/PP/2013). As a result, transfer of academic grade from other universities is accepted. Master program is directed to produce graduates who has capability of developing and updating the science and technology through mastering and understanding scientific approaches, methods, and rules, and the implementation skill, solving problems in their expertise through research and scientific rule-based development, and developing their professional performance in more extensive spectrum indicated by the acuity of problem analysis, the wide coverage of views, and the problem solving integration in related study field. Hence, to enroll the master program, UNSRAT requires academically sufficiently capable students. For this, the applicant of master student is required having a cumulative GPA of at least 3.00 at the undergraduate level. Master program graduates at least master the theory and the theoretical applications in certain field of study. Graduation in UNSRAT is set after meeting the following requirements: 1) students have to pass all compulsory and optional subjects as programmed with cumulative GPA of at least 3.00; 2) students have passed seminar on their independent research; 3) students’ thesis has fulfilled the academic requirements and approved by the supervisory committee; and 4) students have submitted the thesis to examiners and passed the thesis defense; 5) students have published at least one article in nationally accredited journals; and 6) students have submitted the thesis to the faculty as required by the faculty. UNSRAT has internal quality assurance system to evaluate the suitability between higher education accomplishment of UNSRAT and National Education Standard based on university vision and stakeholder’s necessities. The evaluation covers content standard, process standard, graduate competency standard, faculty member standard, infrastructural standard, management standard, budgeting standard, educational assessment standard, and other relating with stakeholder’s interests. Therefore, UNSRAT has education quality assurance units at university and faculty levels. External check is also done every 5 years by the Directorate General of Higher Education as control activities of the national education standard accomplishment. Capacity building of the faculty members is developed through three levels of training: Instructional Skill Development, Applied Approach, and Integrated Learning Method. These activities are intended not only to do self-evaluation in working performance, but also to build their capability of carrying out the teaching and learning process in better ways in order to achieve high teaching performance. Promotion of UNSRAT has been done through leaflets, guide book, and electronic media. UNSRAT has also participated in exhibitions in order to introduce the development of UNSRAT in science and technology so that more young people are encouraged to take advantages of its existence in North Sulawesi. Also, UNSRAT has shown its capability through researches and community services. The latter is done by building professional communications with government and communities to help them improve the policy implementation and people prosperity. University’s facilities and equipment are provided through National Budgeting, Regional Budgeting, and Non-tax Revenue. Therefore, the use of facilities and equipment is covered by the tuition fees. For this, a single tuition fee is applied to cover all academic services in UNSRAT. Each Indonesian university, through central government, has its own facilities under national budgeting, in line with its necessities. For specific request, other universities can take advantages of any university’s facilities through inter-university collaborations. Development in science and technology is recently so fast. Toward globalization, has resulted in global science and technological development in Southeast Asia and worldwide. Looking at this situation, UNSRAT has put numerous attempts to reach high achievement in human resources development through education. UNSRAT, through the Directorate General of Higher Education, has been encouraged to move forward to doing more researches, facing more challenges, and improving services, in order to be in higher performance. UNSRAT is also pushed to extend the science and technological development through collaboration, both regionally and internationally. Indonesia is rich in marine biodiversity due to diverse marine habitat availability. This high biodiversity promotes high number of research activities, despite low availability of research infrastructures, so that research collaboration is highly opened among universities. Doing this would provide good opportunities to lift up the development in science and technology.